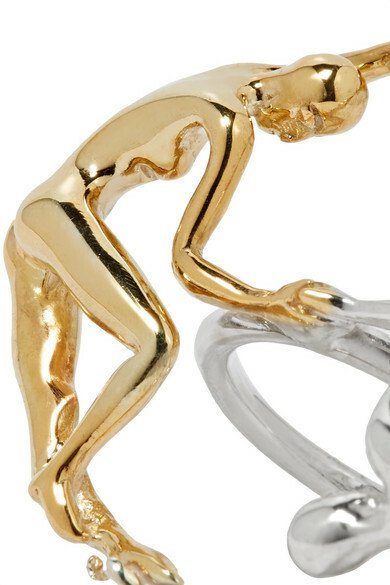 Paola Vilas' 'Dança' ring is inspired by Henri Matisse's famous 'Dance' painting. 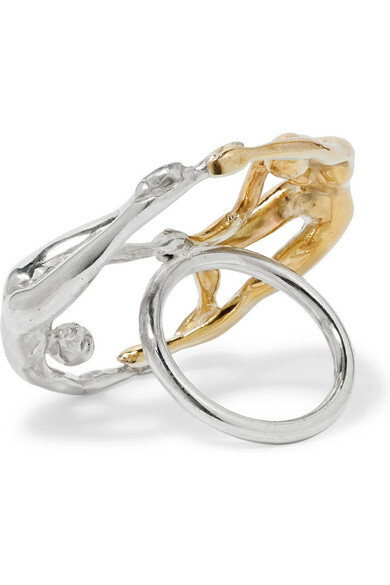 This wearable piece of art is cast from silver and gold-plated silver to resemble two figures that lay flat against your finger. Complete a set with the matching earrings. Shown here with: Khaite Dress, Laura Lombardi Earrings.